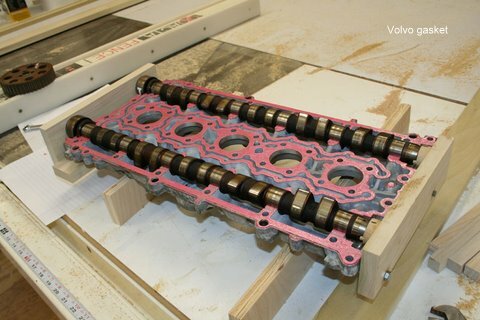 After bending the valves on my 1998 V70XC engine due to an incorrect timing belt installation, I decided to tackle the job of rebuilding the head on my engine. Being a carpenter, I decided to make some of the tools required for removal/assembly out of wood with what I had lying around my shop. Overall it was a good experience and I learned a lot about my car. None of it was very difficult, but I'm glad I'm a patient guy. 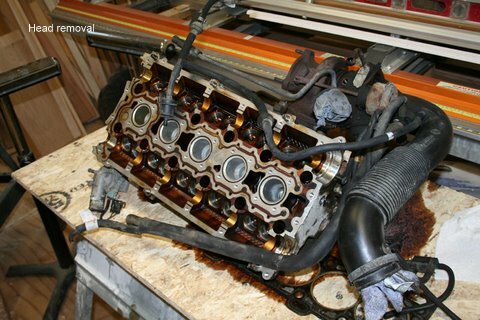 After disconnecting the necessary items in the engine compartment I removed the head assembly out of the car along with the turbo and exhaust manifold attached. My small Kubota backhoe was perfect for lifting it out of the engine compartment and putting it back in. Anything I took off I put in baggies and labeled them. 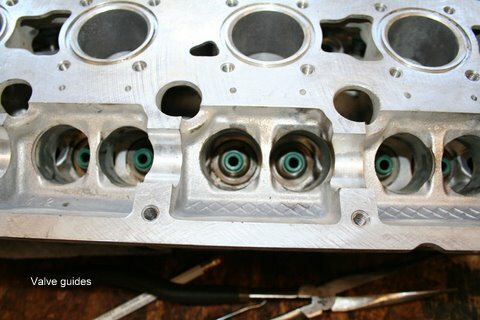 With the head off I could see the damage the intake valves did to the pistons. There were some very slight indentations on the exhaust side of some of the pistons but I replaced only the intake valves. Exhaust valves weren't damaged. 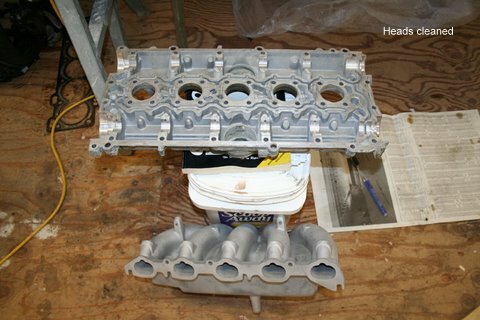 I took the head and intake manifold to a shop and had them clean everything. I installed the lower end of the head with the turbo attached. Whenever I could I replaced anything that was going to be hard to get to later (ie vacum lines, o-rings, thermostat) and also took apart the turbo to clean it. Don't forget the turbo oil seal! 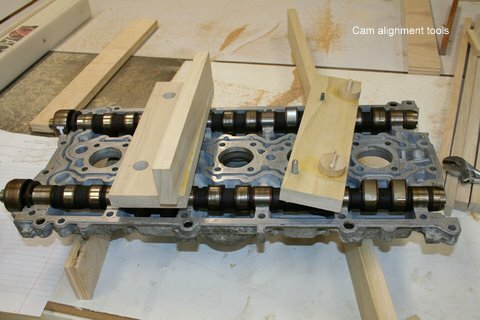 I made the camshaft holders out of Poplar and glued slotted dowels onto the Poplar after the cams were aligned correctly on the upper part of the head. 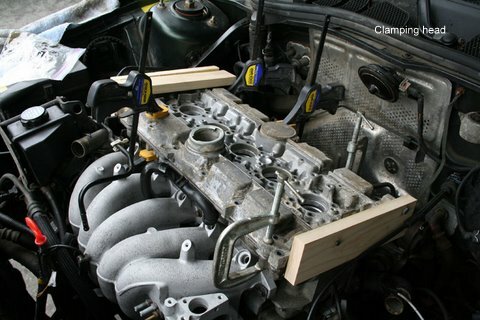 The next day I drilled locations for screws to hold the camshafts in place. 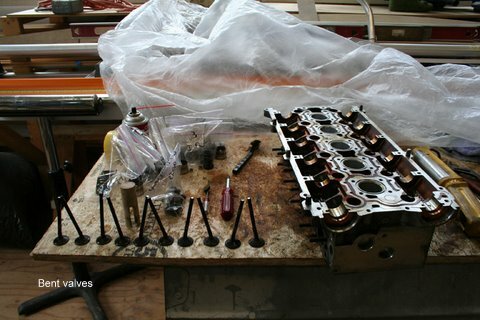 Installing the head by gently clamping with wood clamps to compress the valve springs. Now I could start putting everything back together. I took a lot of pictures along the way so I wouldn't forget the order of certain items. The only thing I forgot to do was to tighten one of the banjo fittings running off the turbo into the block. I ended up with a puddle of oil under the car but I consider that not too bad. 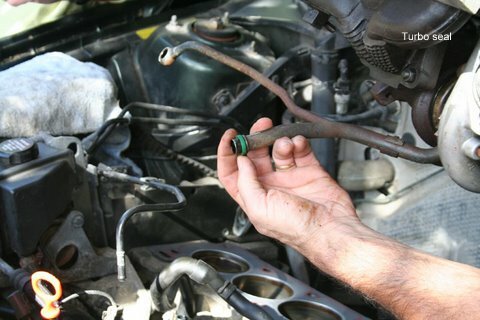 I made sure that when I put the timing belt on the this time I turned the engine over by hand a few times, check the timing marks, turn over a few more times, then crank it over. You should have seen the smile on my face when it started. If anyone needs any help on something I didn't cover in enough detail feel free to post or email me. Good luck and have fun! Great Pictures. I think this should be made a sticky at the top of this section. Hi, I just signed up because I'm dealing with this exact same problem. 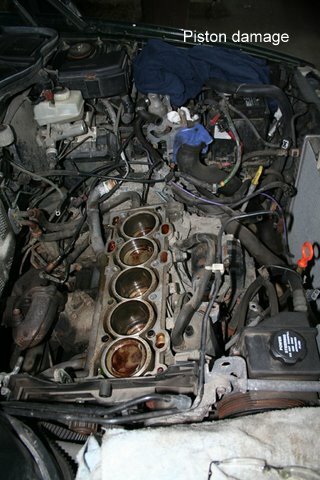 I've got a '98 V70XC that threw a timing belt, and don't want to pay a shop to replace the valves. Only two of the valves appear to be bent. Am I the only one who can't see Johnhon's images? Something must be wrong with link. JRoc, I'm 90% sure I've got the non VVT style engine, the gear on the end of the intake cam looks exactly like the one on the exhaust cam. I appreciate the heads-up on the leaking cover, and was wondering if I was crazy not finding a gasket when I took it apart. 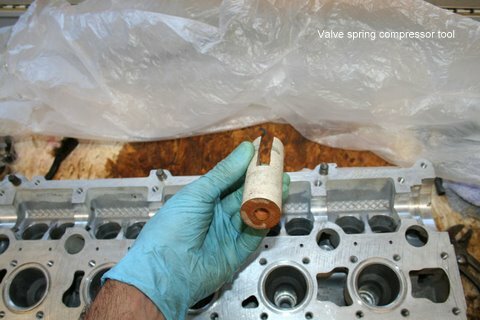 I'm actually planning on replacing the valves myself, which isn't conducive to having them resurfaced. If you like, check the thread I started HERE. I'll probably end up cleaning the surfaces and spraying some Copper Gasket Adhesive on the mating surfaces, unless you guys don't think that will work. I would use the Volvo stuff it is pretty expensive but is awesome stuff. If you locked the cams then snug the center screw some and get the VVT pulley so that the timing marks line up with the pulley in the center of the free play it has. When the screw is snugged up it will move to the left and right. Get it centered from there and loosen the screw back up and spin the pulley till the mark lines up and snug it up again and make sure it is centered. As long as the VVT pulley it centered on the cam you should be fine. There is always a slim chance it might be a tooth or so off. I just read the replies to my post ( I actually didn't realize that they were there) and I know it might be too late for you, but my email is [email protected] if you want to send me any questions. I hope all worked out well for you. 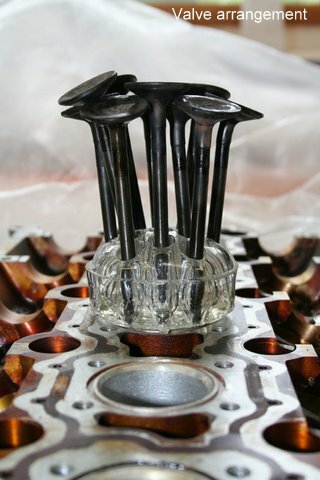 This can cause damage to the valves, but can not guarantee. I suggest when you get the timing belt changed, you have a mechanic inspect the vehicle damages.Change timing belt before 60000 km. My car was just over 61000 km, when the belt is not.